At Give Sports, we are constantly growing and striving to reach out to youth around the country. Please make sure to check back often as we expand and add new locations and programs. We love giving back, but we couldn't do it without the help of our amazing trainers around the country. Check back often for updates on new trainers. Captain of 2004 Las Vegas Nike Main Event Championship Silas Texans Select Team. Captain of Undefeated Class 5A District Championship Austin High Varsity Team. 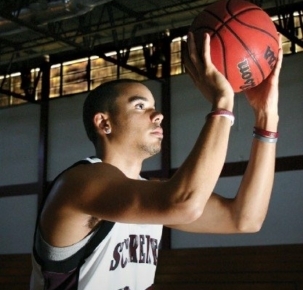 4 year Basketball letterman at Schreiner University. Graduated as Sports Management Major. 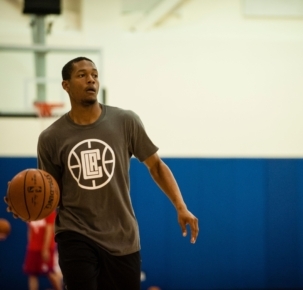 Formerly an intern for the Los Angeles Clippers and served as a youth basketball coach for the Clippers organization. He is also an official Jr. NBA coach who teaches skills, values, and wellness in a positive and fun environment. We are constantly adding new locations, new programs, and new trainers to our roster. If there is a sport or location you would like us to add, please feel free to reach out. We would love to hear from you! The Give Sports philosophy is derived from the team oriented idea that it is better to give than to receive. Because of this philosophy, each Give Sports team will be required to GIVE back by way of community service. Play 2 Give LLC is a registered trademark of GiveSports.